Chapter 2: What Is Affiliate Marketing? You are here: Home / Free Ebooks / Chapter 2: What Is Affiliate Marketing? 2. What Is Affiliate Marketing? As one of the strategies available to online businesses, affiliate marketing offers plenty of opportunities but before you get started you need to understand the entire concept and what it is all about. The entire concept of affiliate marketing is focused on sharing the revenue by partnering up with others, and it is the concept that has been around for a while before the world wide web even started. In terms of affiliate marketing as an online business model, we can trace back its origin back to 1994 when the first affiliate program was launched by PC Flowers & Gifts. One year later, they had over 2000 partners in their affiliate program. Perhaps the best-known affiliate program today, Amazon’s affiliate program, was launched in 1996. In fact, e-commerce websites, in general, started seeing affiliate marketing as an excellent way for them to increase sales without any direct promotion from their part. Even though there have been several business models in affiliate marketing, what really changed the game was the introduction of Web 2.0. This shifted the focus to the user-generated content, optimization, and integration of social media. As a result, affiliate marketing became even more available to the ordinary people, bloggers, influencers, etc. who suddenly started seeing this type of marketing as a perfect way for them to monetize their online influence. No longer has this partnership been available for businesses only, but individuals started taking a massive role in the concept, changing the world of affiliate marketing for good. Affiliate marketing is a type of performance-based marketing. This means that the efficiency evaluation and reward systems are based on the performance, which can be evaluated at specific intervals, or it can have a particular goal that needs to be achieved. There are two roles in affiliate marketing which are crucial for this entire system to work. First, there are merchants, who decide to create an affiliate program. They provide an offer for others to promote their business and earn their commission. On the other side, there are affiliates, who are also known as publishers. They are the ones that are interested in joining an affiliate program. 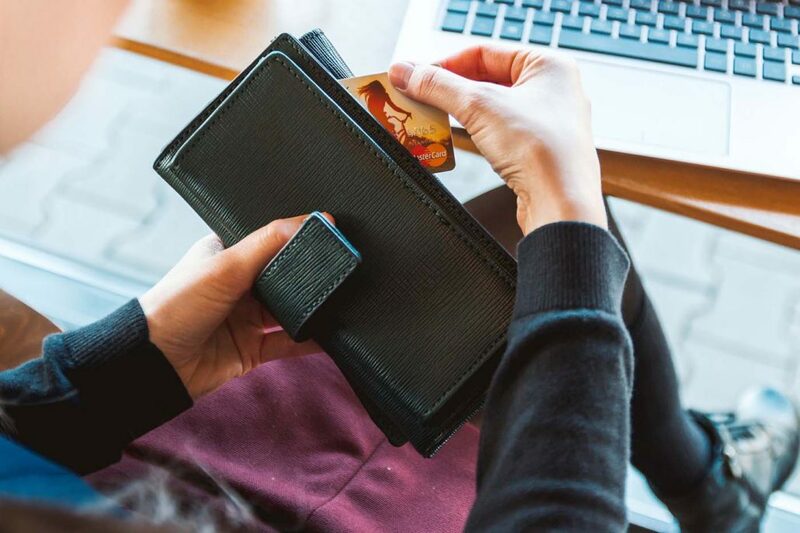 The main reason for merchants to create an affiliate program in the first place is the potential to increase sales and boost profit with no direct promotional campaign, except for enabling affiliates to join the program. Since the entire concept of affiliate marketing is performance-based, there is no investment or pre-payment required by the merchants. Affiliates are also motivated by profit to join an affiliate program. Once they enter the program, they are able to promote the merchant’s products in any form they can, in order to increase sales. Their performance is tracked using trackable links and they are paid based on that performance, i.e., based on the conversions they achieve. Apart from merchants and affiliates, who take an active role in affiliate marketing, it is also important to mention digital buyers. These are the modern consumers who are experiencing the buying process in a completely different way nowadays. Not only does the habit of buying online instead of offline changes rapidly, but the way the consumers buy is also changing. Digital buyers are more prone to explore products before they buy. This is how showrooming and webrooming were introduced in e-commerce. Nowadays, buyers want recommendations, and they want to see the benefits of the product. In fact, they look for recommendations from friends and people they respect (bloggers, influencers, etc.). All of this has a positive influence on affiliate marketing because it increases the chance of online buyers finding the products through recommended (affiliate) links. 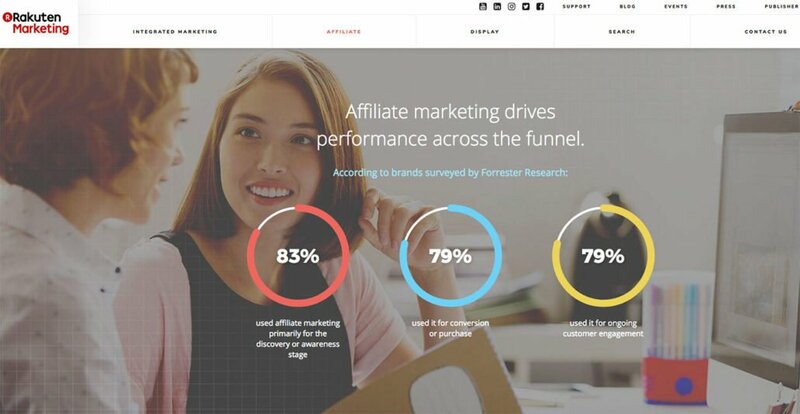 Furthermore, a lot of surveys show that affiliate marketing drives performance, which includes brand discovery and awareness, as well customer engagement and purchase. Affiliate marketing basically connects merchants and buyers and affiliates are those who connect the two. Learning more about affiliate marketing (by reading this ebook for example) is the first step that is going to help you get started with this type of marketing. It is essential that you understand the basics to be able to explore your options and how you can leverage the potential of affiliate marketing. As mentioned above, you will have to choose one of the two roles in affiliate marketing. If you have a product and you need help with promotion of that product, then you will be a merchant. On the other hand, if you have a great blog, lots of subscribers, or online influence, and you want to cash that in, you can do that by becoming an affiliate. We can summarize the entire process by defining the tasks of these two participants. On one side, a merchant sets up a program. He provides everything needed for the product promotion, including images and links. Affiliates join this program and start advertising the product using online resources. Their activity is being tracked through links. Once the online user clicks on an affiliate link, that activity is stored in the user’s browser cookies. When the user buys a product, and this has been detected as a visit originating from an affiliate link, that affiliate is paid a commission. The time interval during which the cookies stay in the browser can be different from one website to another, but it is usually a period of 30 or 60 days. This means that the transaction can be detected during that time interval and still be contributed to the affiliate. For example, the user clicks on the affiliate link, checks out the product, but decides not to buy. However, the same user goes back and buys the product days later. This sale can still be attributed to the affiliate if the cookies are stored in the browser. There is no limitation when it comes to promoting an affiliate link, so an affiliate can use multiple resources to share these links online. In fact, the more exposure the link gets, the more likely it is for the affiliate to earn the commission. A tremendous popularity of this method of online marketing is the result of many benefits that can be obtained, for both merchants and affiliates. There is a number of benefits for merchants which encourages them to create and make available affiliate programs for their products and use this as a way to grow their businesses in the digital world. With affiliate marketing, merchants do not need any investment. There is no risk involved because no payment is made in advance. Affiliate marketing is often called performance-based marketing, which means the affiliates are only paid based on their performance. Once the sale is completed, the affiliate is paid a percentage of that sale. Trackable links and affiliate marketing tools are used to create and track the performance of the affiliate links. This way, the merchants can successfully manage and monitor the traffic and inbound links generated by the affiliates. Since affiliate marketing is all about affiliates promoting your links, with methods that include posting the links on their website(s) or blog(s), it is likely that you will increase the exposure of your brand as well as the search engine visibility. If the websites that link to you have a good domain or paid authority, this will be a great boost for your SEO. Obviously, you will have to be careful here, because you should avoid accepting affiliates who are likely to post links on spammy websites or use suspicious methods to promote the links. This can harm your site reputation and thus have a negative influence on the site’s search engine ranking. Another benefit obtained through links in affiliate marketing is an increase in traffic. To make this traffic really an asset of yours, you will need to have a compelling landing page and a powerful CTA, to make sure you take advantage of the traffic you receive through affiliate links. You might also want to generate leads through an offer or online promotion, which is another aspect you will need to include when designing the landing page. Not only do you get to increase traffic and amplify sales, but you will also generate leads at the same time, with no additional costs involved. It is necessary to create a website page that will encourage users to sign up or claim an offer, after which they can become a part of your mailing list. Regardless of the affiliate’s performance and earned commissions, these leads remain your asset that can be used later on for email campaigns. When you set up an affiliate program, you define the terms for participation, which means that the commission and other terms (such as cookies life) are in your control. The affiliates who want to join will have to accept those terms. You will also provide images and other materials used for the promotion, so here is another aspect you can control. Unlike opening your own online store, where you will need an investment to start off, affiliate marketing helps you promote and sell products with no investment from your part. You do not own the products, so there are no costs of making or buying products. The only investment needed is the promotion of the product. If you already have a website or a blog and influential social media channels, you will not have additional costs. However, if you are starting without any of these, you will need to create a website (or blog) and to set up social media channels, and these will involve certain expenses, depending on whether you will need assistance with those tasks or you will do them on your own. The costs involved would be for website maintenance, content creation, and content promotion. Since you do not own the products you are promoting, you will not need a warehouse to stock the products. In fact, if those are physical products, you will not be involved in the shipping process either. The only goal you have is to promote the product and direct the buyer to the website where the product can be bought using your affiliate link. Handling the products and shipping is done by a merchant, and it does not require your involvement. Affiliate links bring you profit at any moment of the day. Any time the visitors click on the link the activity is tracked and there is a possibility to earn a commission if the conversion is completed. This kind of passive income is an excellent opportunity for bloggers to make a profit even when they are focused on other projects. Affiliate marketing offers a great potential because you are not limited by a specific territory or language. This helps you reach a large group of people, which results in more opportunities to earn from affiliate links promotion. As an affiliate, you will have many platforms to use to promote the products. The most common way to do so is using your website or blog, but social networks can also be used for such promotion. Both merchants and affiliates can use affiliate marketing to grow their business online. They are joined by one common goal – to increase profit. Affiliate’s willingness to promote merchant’s products is motivated by a possibility to earn a part of the profit. On the other hand, a merchant is motivated to increase sales and is willing to share the profit in exchange for a new (or often recurring) customer. It is a win-win relationship which is the main reason why affiliate marketing continues to be often used in online marketing.